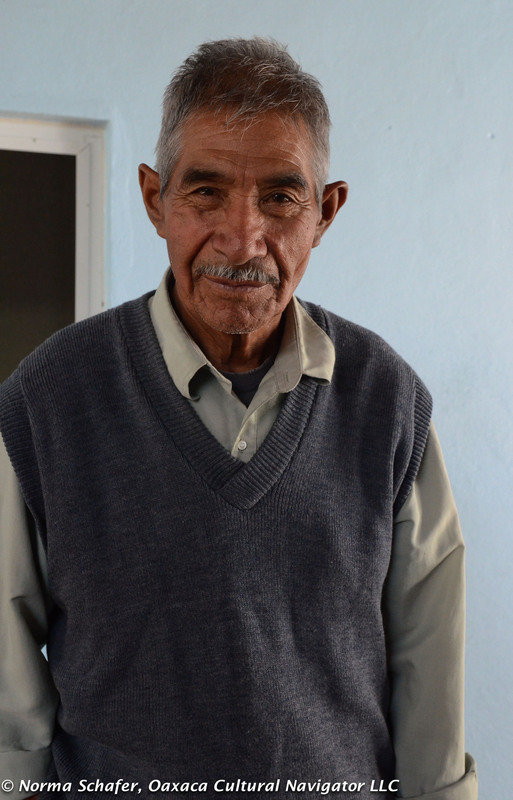 I’ve known Abraham since he was nineteen years old and first starting driving a taxi for Sitio Zapoteco, one of two companies licensed to serve the village of Teotitlan del Valle, which is about thirty minutes from Oaxaca on a good day. Abraham is now twenty-seven. Last year he whispered to me on one of our rides back and forth to the city that he was going to get married. The next time he came to pick me up, there she was, Rosa, with her big wide smile and easy way of being, sitting comfortably in the back seat. They are a good match. 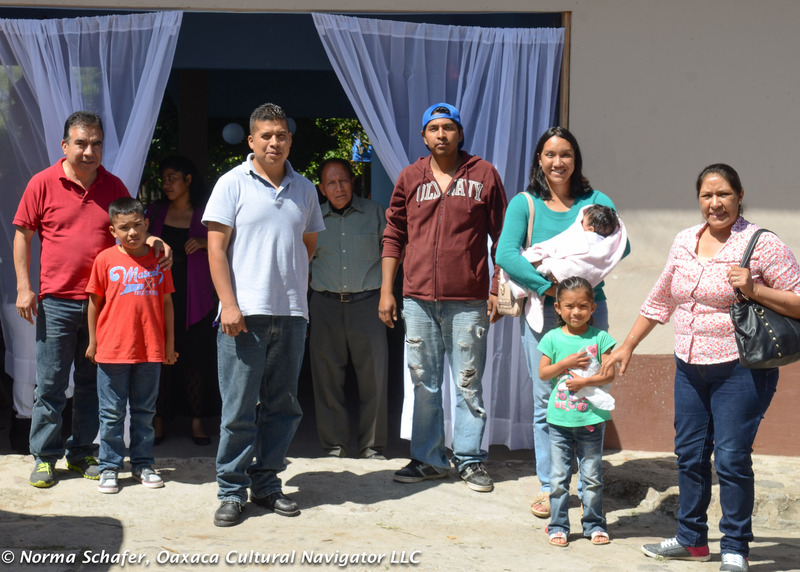 She is educated and smart, works as a bible translator. He is smart and has a lot of emotional intelligence. I imagine they are equals. I know she has a mind of her own. 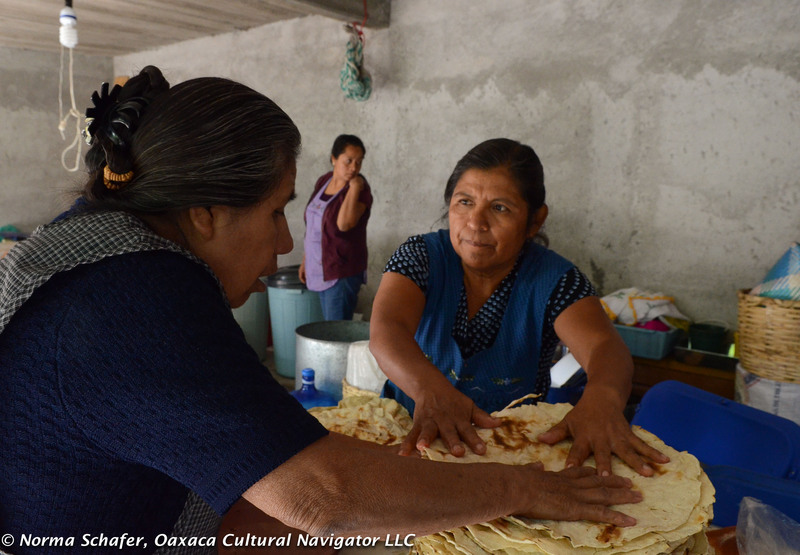 Rosa is from the La Mixteca part of Juchitan in southern part of Oaxaca State. 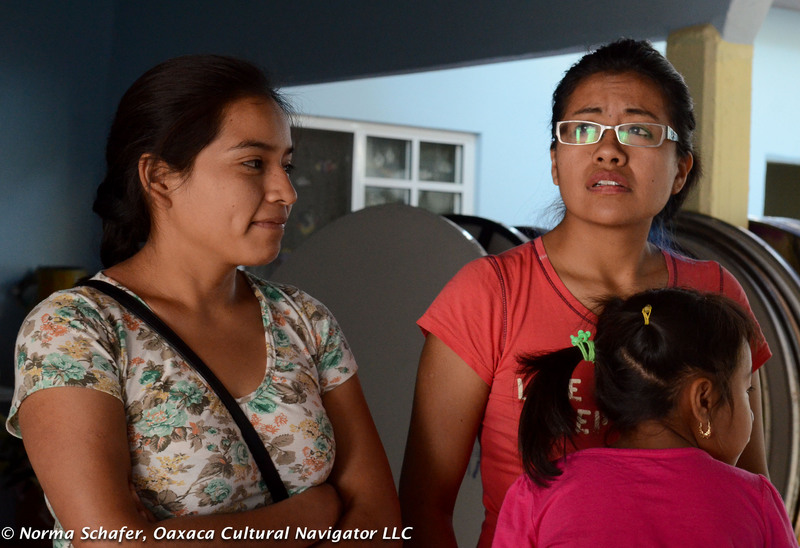 She speaks Spanish and the indigenous Mixtec language. 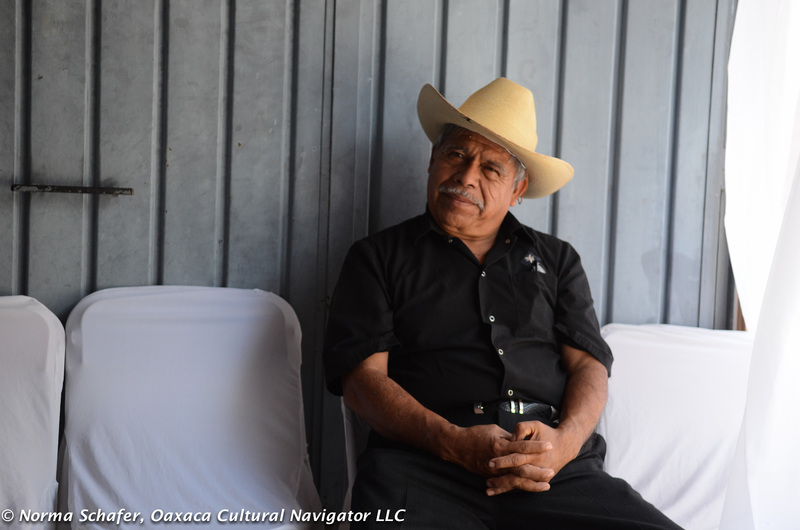 Abraham was born and raised in Teotitlan, speaking Zapotec and Spanish. 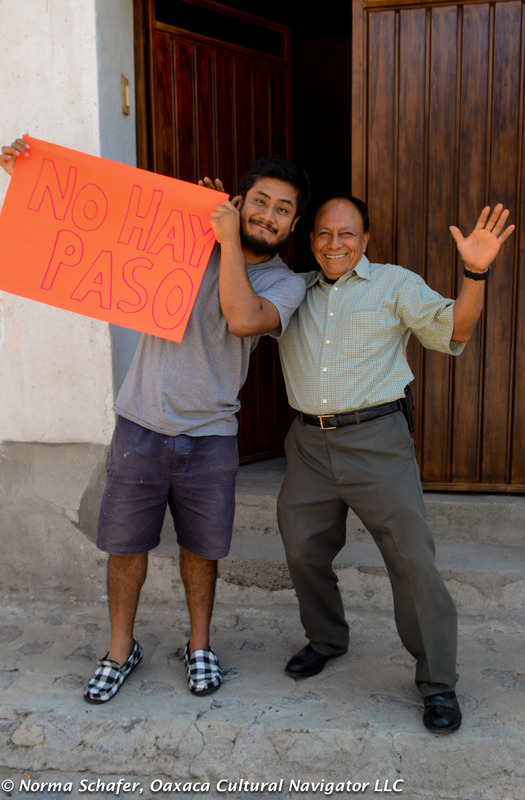 As is usual throughout Mexico, Spanish is the language that binds. 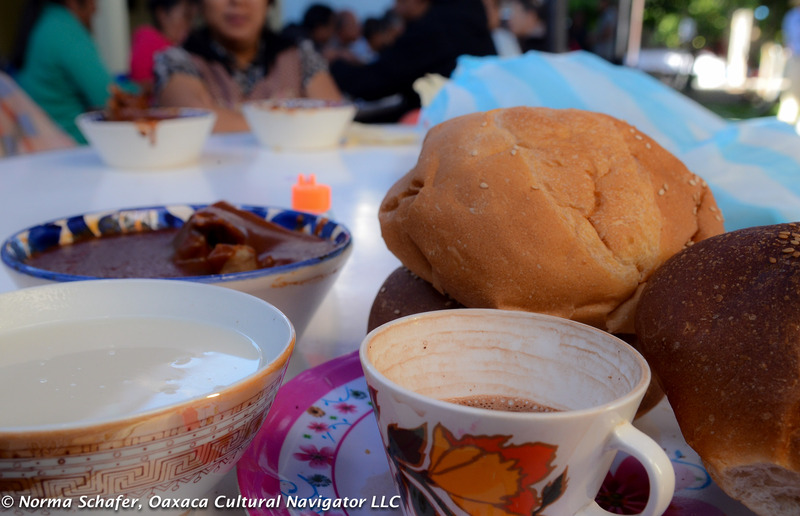 Breakfast hot chocolate, atole, chicken, mole amarillo and sweet bread. 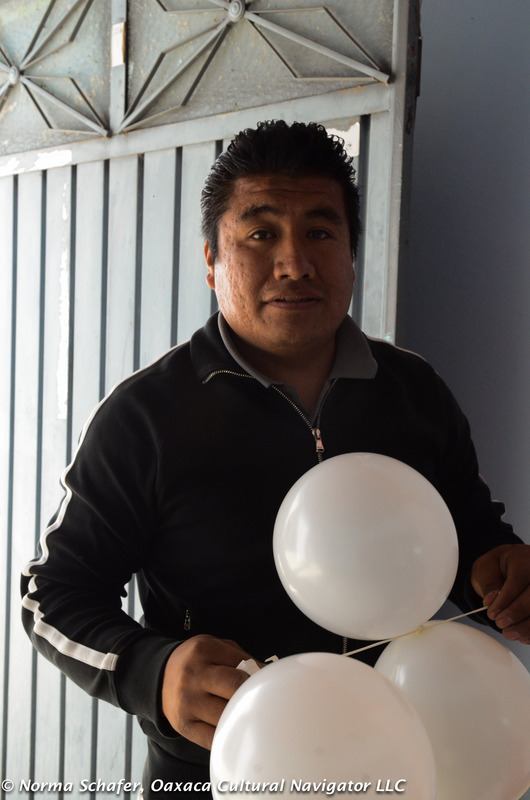 Abraham would have been an excellent candidate for university, but driving a taxi is what he does to earn a living and help his dad, Don Felipe Flores, who recently turned major taxi-driving responsibilities over to his two adult sons. 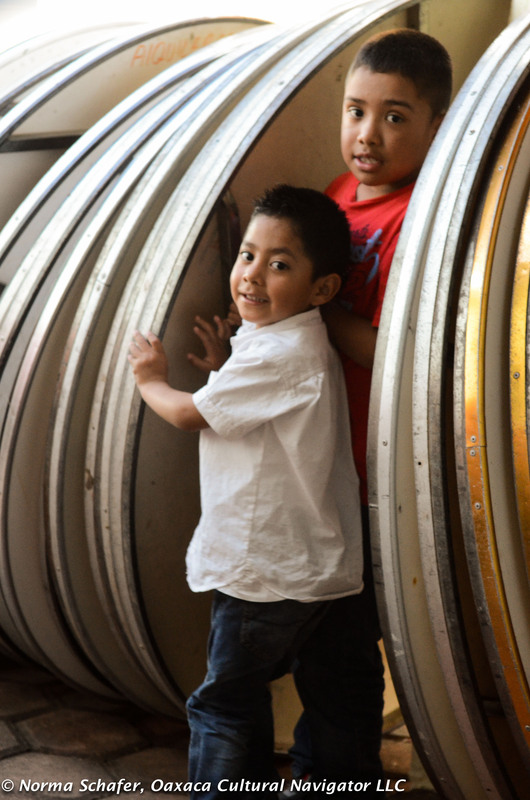 Abraham and his older brother Felipe, Jr., who returned Teotitlan after living in the U.S.A. for a while, have the fortitude and nerves to drive the Pan American Highway (the Carretera) back and forth each day, making sometimes five round trips each. Fast drivers are sometimes three abreast on a two-lane road. 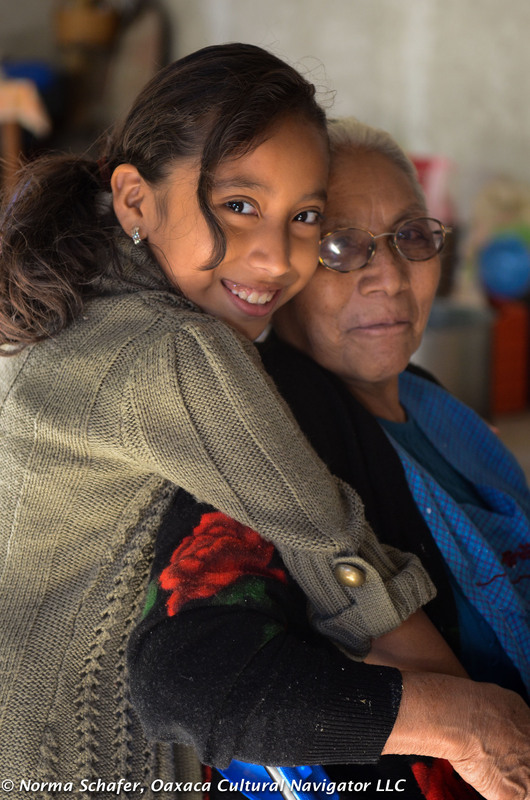 Six months ago, Rosa, Abraham and his mom, came over for a visit to formally ask me if I would be the Madrina of Photography at the wedding. Of course, I said yes. What an honor to give this gift to a young man, who has become my friend, and his wife-to-be. So, August 1 was on my calendar for a while. It’s takes a big family and lots of friends to make a wedding for 350 guests. These are mostly do-it-yourself affairs. Preparations begin months in advance. 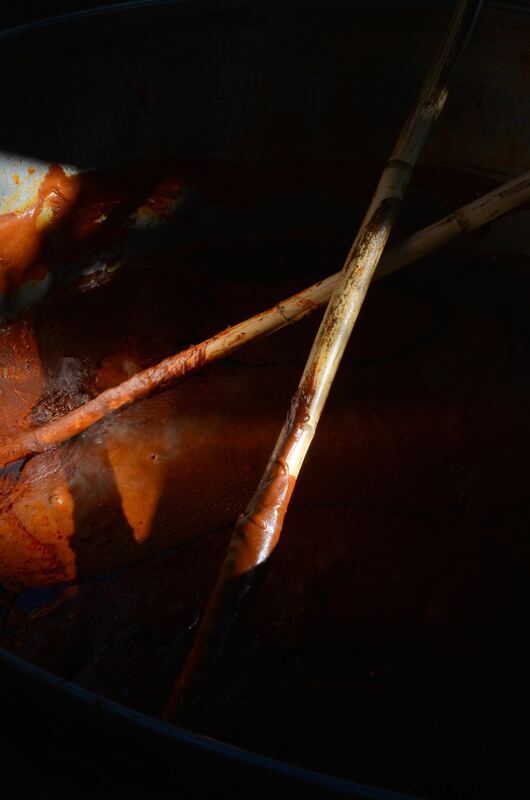 A group of men went to Rancho Juarez earlier in the week to get 15 lambs that would become late afternoon dinner of consomme de borrego and barbeque for everyone to enjoy — also a traditional wedding menu. Cousins from Fountain Valley, California, born and raised there, and tri-lingual, helped make the flower arrangements and pump air into balloons as children play between the yet-to-be-set-up tables. This was my first “official” job as wedding photographer. I can’t say that I excelled at the task! Fortunately, out of the over 1,100 photographs I took that day, I got an edited set of 125 to give as the gift, and then culled down to the best 50 that I consider worthy of publishing on the blog. Lighting was my biggest challenge: the harsh indoor lighting of the church, the natural light streaming through the windows, the strobe light of the videographer, and all the varying skin tones that I do not know how to compensate for. I am still an amateur! I’m going to start with the Morning of the Wedding Day, August 1, 2015. Breakfast began at nine o’clock. 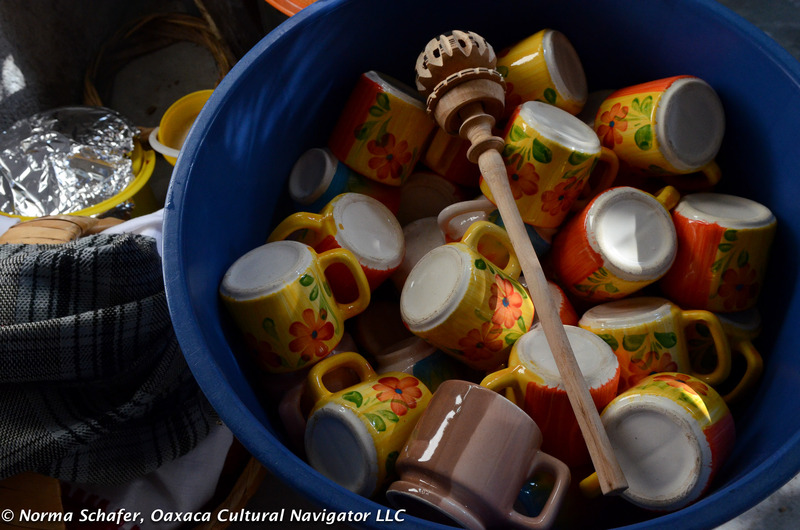 I’m certain the women in the extended family had been up all night preparing the traditional hot chocolate, atole and chicken in Mole Amarillo. 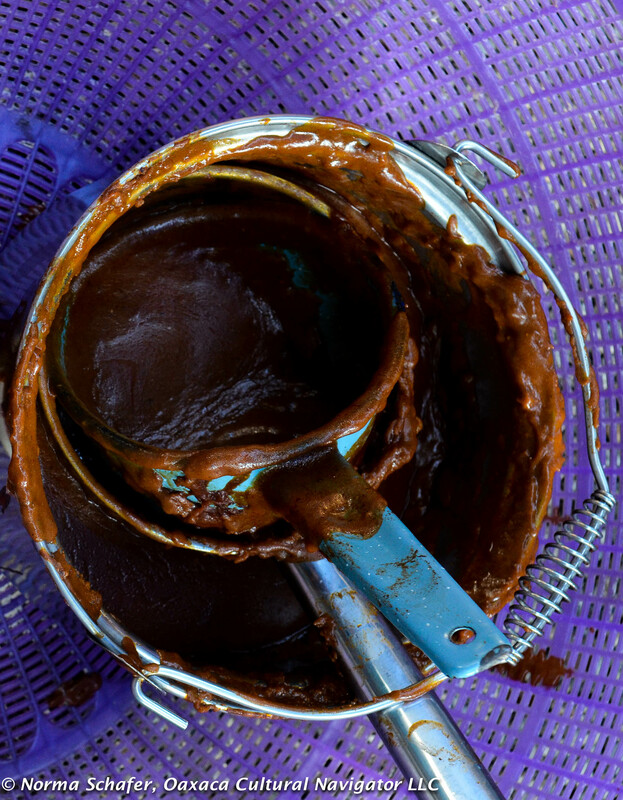 This is the celebratory mole for Teotitlan del Valle and is served at every major fiesta and feast day. 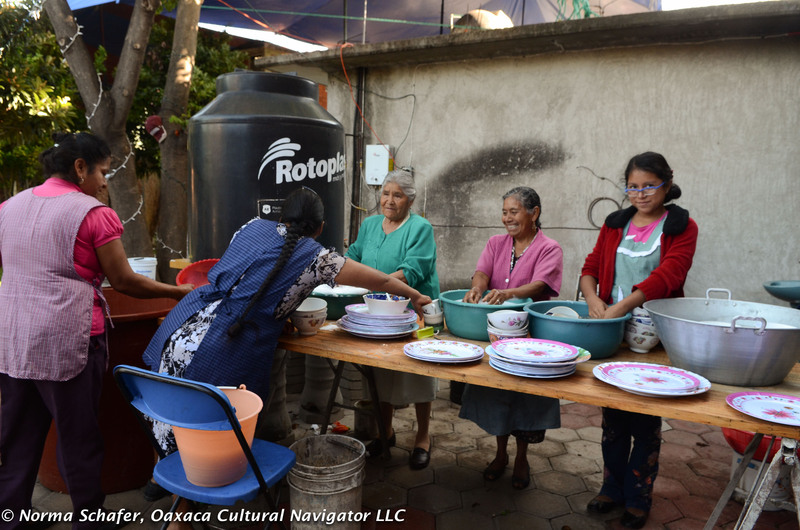 The morning was filled with work, setting up tables, making decorations, arranging flowers, carrying baskets and platters back and forth between the houses of relatives who live next to each other on Pino Suarez street. Cousins blocked off the road to keep people from parking in front of the house. Waiters arrived to dress the tables and serve the post-ceremony meal. Rosa was off getting her hair and nails done. 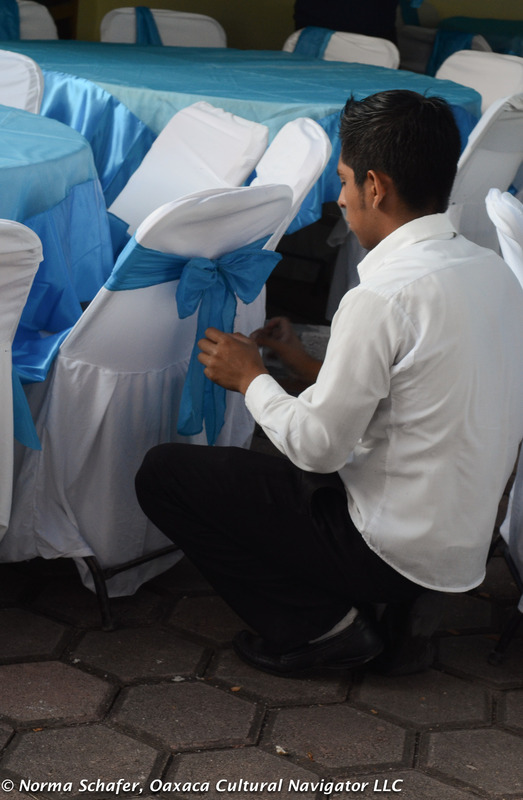 I hung around and took photos of the preparations. Family members came and lingered and pitched in to do what was needed last minute. Family came from Mexico City, too. It was after noon. Abraham appointed someone to whisk me off to the house where Rosa and her bridesmaids were getting dressed so I could get their photos. Then he disappeared to take a shower. The wedding was scheduled for one o’clock. By the time I got there, all were ready and waiting for the magic call to leave for the church. 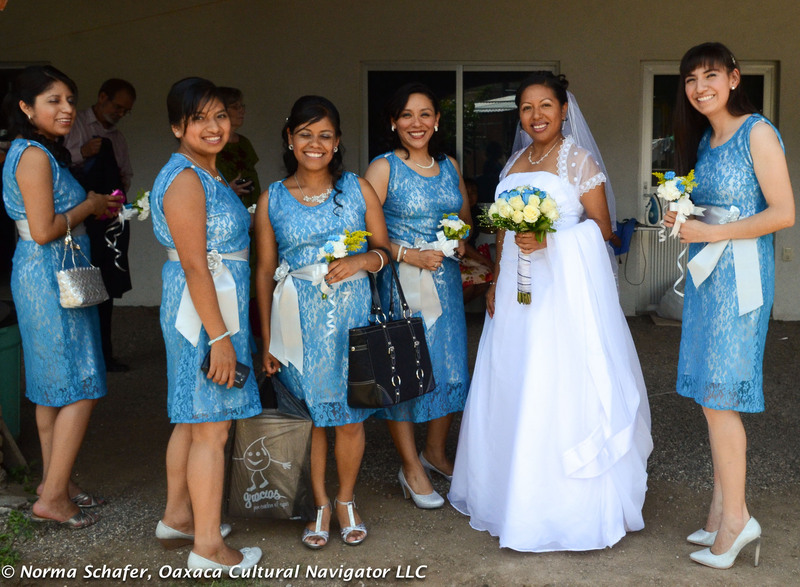 Rosa and her bridesmaids ready to leave for the church. I was reminded of the song, Get Me to the Church On Time. Up at the house, the call came in. It was from Abraham’s uncle who said, wait, people were still arriving, don’t come yet. Next post will be The Ceremony. And, after that, The Party! 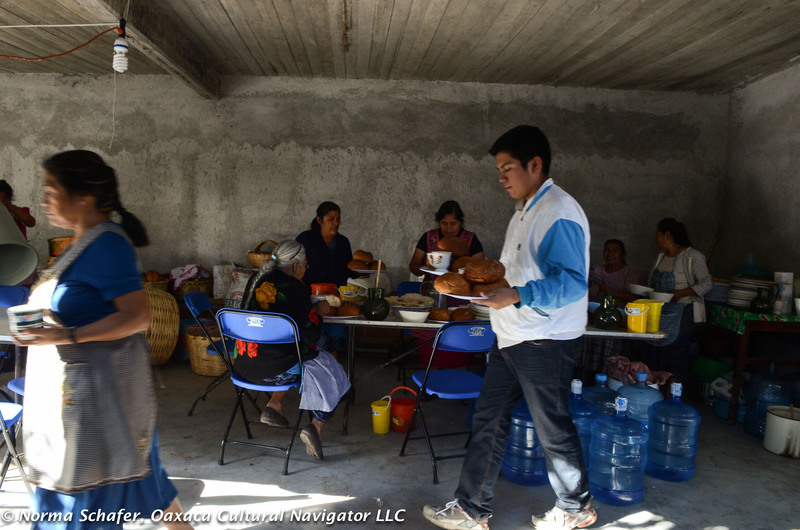 This entry was posted in Cultural Commentary, Photography, Teotitlan del Valle. Bookmark the permalink. What a joy. We were lucky enough to go to a wedding , several years ago, with the ceremony at Sto. 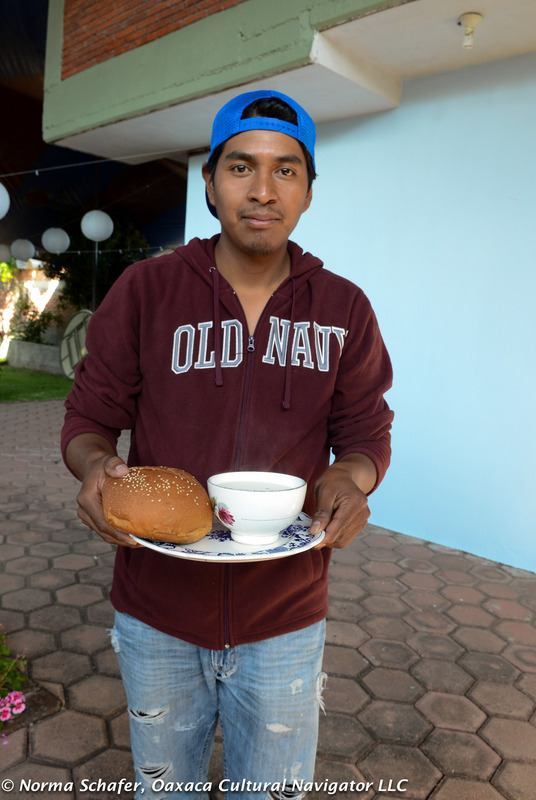 Domingo, and the dinner for 500 in the yard of the grooms family’s home in Teotitlan. It was an experience that we will cherish forever. 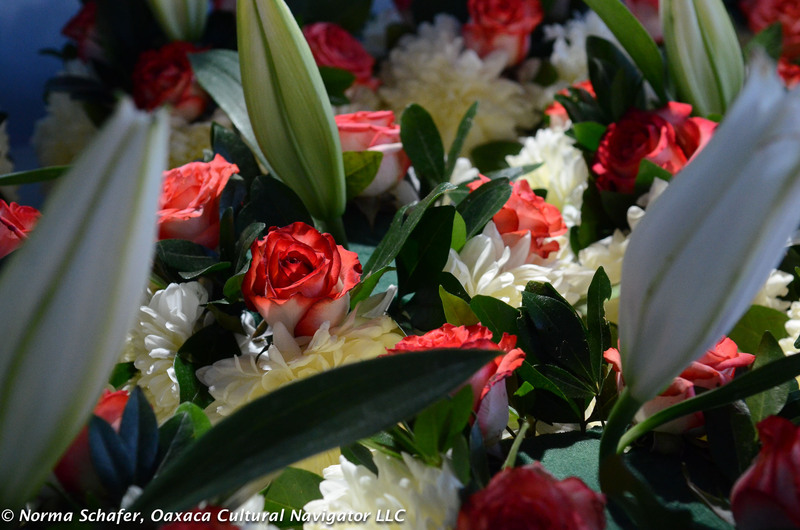 We wish all the best to Abraham, a charming young man and a wonderful, safe driver, and Rosa. I hope he will drive you both to Teotitlan del Valle many more times! Yes, he is a treasure. So happy for them and can’t wait to see more of your photographs! Thanks, Cindy. Getting ready for the next posting. Possibly tomorrow. Stay tuned. Love you back! How charming! Norma, you capture the pre-ceremony hustle and fellowship beautifully. Thanks so much, Jan. Hope you can come sometime during one of these ceremonies. It’s very fun AND exhausting for all, including me! Congrats, Madrina. I am very fond of that family! Thanks, Michelle. See you in … when? … September?